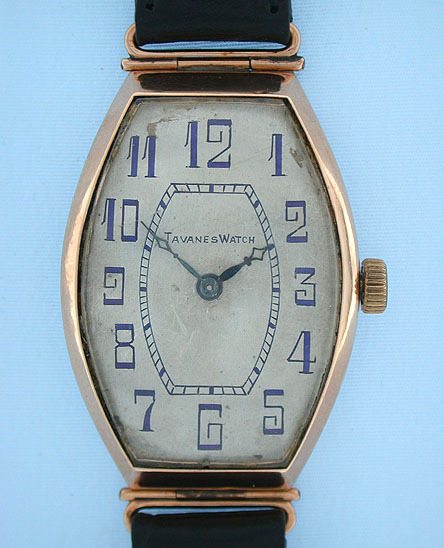 Oversize Tavanes 14K pink gold Swiss/Russian vintage wrist watch circa 1910. Silver dial (slightly scuffed) with blue numbers and blued steel hands. 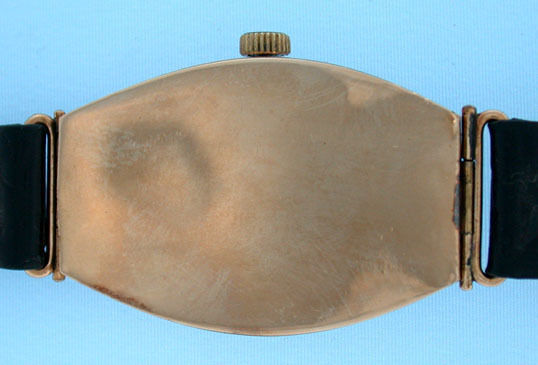 Oversized Russian curved tonneau curved case with flexible lugs and hinged back. 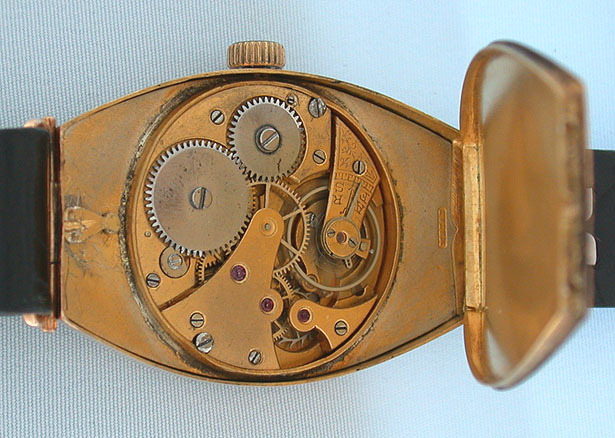 Gilt 15 jewel Swiss movement.